Seyfarth has been at the forefront of the development of the Freestanding Emergency Center Industry. Our team represented some of the first licensed facilities and has played an important role in shepherding the development of the Texas Association of Freestanding Emergency Centers and the National Association of Freestanding Emergency Centers, a new industry group representing the freestanding emergency center industry. We have counseled these associations on the impact of health care reform on their industry and have attended meetings with various legislators regarding issues of concerns on their behalf. Our deep knowledge of the industry and its unique regulations has allowed us to represent clients with syndications and new start facilities, restructuring of ownership, and mergers and acquisitions involving freestanding emergency centers. As an example, our team worked with one of the first licensed freestanding emergency rooms in the state of Texas in its formation, and have assisted them in syndicating several other freestanding facilities across the state. In addition, our team is frequently sought after thought-leaders on the topic of freestanding ERs, including recent quotes and pieces in Modern Healthcare, Texas Tribune, and The Ambulatory M&A Advisor. Most recently, our team successfully handled the consolidation of several freestanding emergency center companies into a single organization to obtain venture capital financing. 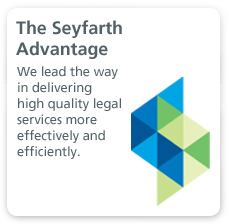 Seyfarth’s Health Law attorneys are knowledgeable about the needs and challenges facing the telehealth community. Providers, investors, universities, nonprofits, and governments are actively pursuing telehealth for reasons that range from addressing gaps in the marketplace to tackling provider shortages or access issues. 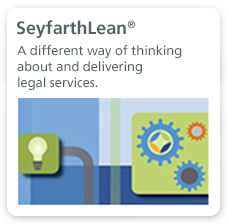 As with most innovations, the marketplace is far ahead of the law, causing a myriad of legal and policy issues and concerns. 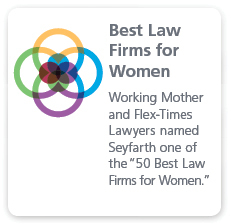 Seyfarth’s multidisciplinary team of lawyers and public policy professionals provide an array of services to clients that provide or are interested in providing telehealth services.